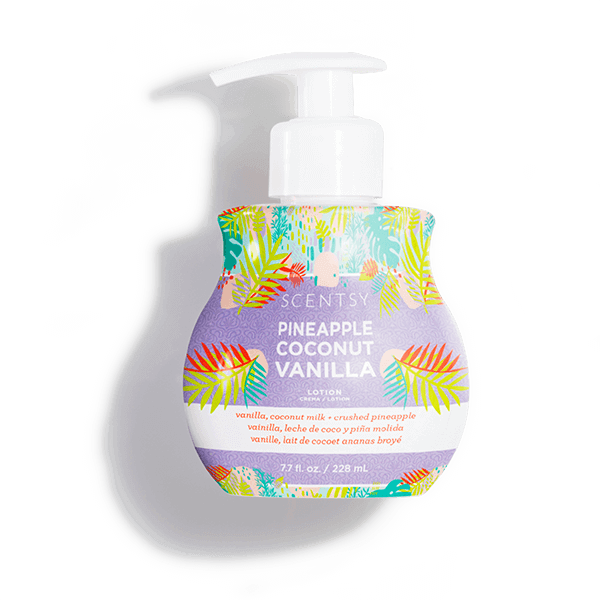 Scentsy Pineapple Coconut Vanilla lotion-Ride the wind alongside coconut, pineapple blush and blue fig. 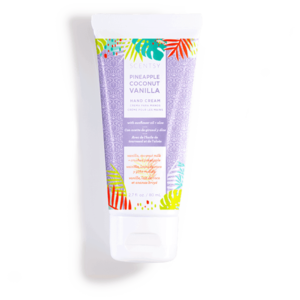 Pineapple Coconut Vanilla Lotion-Lush and light unite! This replenishing lotion delivers daily, all-over hydration and features an easy-to-use pump. Pairs perfectly with our Hand Soap! 8 fl. oz. With sunflower oil and aloe.